Julie has been in the health and fitness industry since college. She states, " I was a personal trainer and aerobic instructor, that's what they used to call us back in the late 80's when we wore leotards and had big hair!" Julie creates a workout atmosphere that is non-intimidating, safe, and fun. 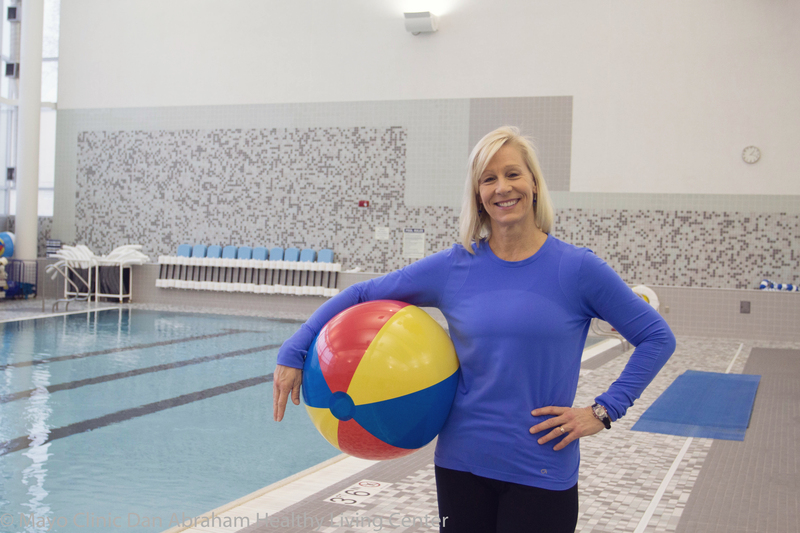 You will find her in the pool teaching classes, playing water volleyball and singing with members, in our multi-purpose studio motivating members to do their best in an Indo Row class, and helping members achieve their goals in a strength class. Attending a class with Julie will make you smile and feel good about your fitness accomplishments!